I hate the heavy feel and unnatural look of some lipsticks so I tend to opt for lightweight glosses or stains. Ellen Pompeo, Sandra Oh and Katherine Heigl seem to agree with me. The Grey's Anatomy stars all have a "thing" for Korres Lip Butter ($9). Ellen prefers Quince, Katherine loves Jasmine, and Sandra opts for the darker shade of Plum--which happens to be my favorite. It goes on smooth and makes my lips feel buttery soft (thanks to a combination of shea butter and rice wax). And while it feels like the product is barely there (think of a moisturizing lip balm), you get a subtle dose of color that looks like a light lip stain. So basically it's a super-hydrating formula with a juicy pop of color. For an extra treat, dab a drop on your cheeks and blend for a natural tint. 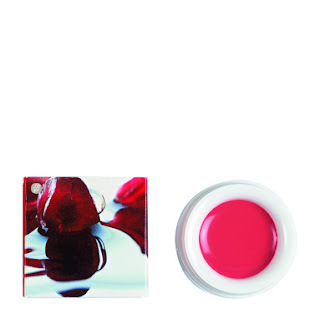 Get a taste of the above mentioned shades or try pomegranate, wild rose, guava, or mango at www.korres.com. 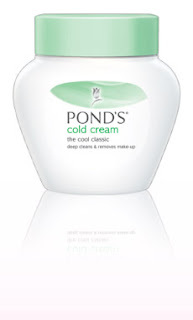 Growing up, we always had a tub of Pond's Cold Cream in the bathroom cabinet. I remember opening it up and digging out a handful of cream to smooth all over my face. It felt rich, smooth and moisturizing, and left my skin feeling clean and fresh. These days, Pond's Cold Cream is still around--which makes me feel pretty old! Sure, it's packaged in a more modern container with a clean, cool design, but it still does the same great job on your skin. As you may know, I've added a Beauty Tip widget from Unilever to my blog. One of my favorite tips suggests using the cold cream as a face mask, letting it sink in, then washing it off with warm water. Why didn't I think of that years ago? For more beauty tips, keep your eye on my blog till 11/26--they change daily! I'm always looking for a new lipstick formula. Something that feels good on my lips and looks natural too. Shu Uemura's rouge unlimited supreme shine lipsticks ($23) do both. I tried 943, a natural looking beigy shade. The color is subtle so I don't feel too made up. There is a hint of shimmer so it looks a little glam. And a sheerness to it so my natural lips show through. The formula is ultra-moisturizing, thanks to ceramide, which protects and cares for the lips. It feels comfortable which makes me want to swipe some on whether I'm going to the grocery store or out at night. And I love the comprehensive color range--from fiery reds, berry reds and icy pinks to flat oranges, warm browns and necessary neutrals. The best part: They last for eight hours so you rarely have to reapply. Choose your hue at www.shuuemura-usa.com. I recently wrote about some new shades of matte nail polish--and now I have even more matte news. You don't have to switch from your favorite hue to try this new trend. It's the most simple beauty treatment you'll ever attempt. Just apply polish as usual and brush Essie's Clearly Matte right over it! In seconds, you'll have a completely new look. I tried it over my just-beginning-to-chip manicure (well, I didn't want to risk it on a fresh one!) and was amazed at the results. No longer shiny, my nails looked like the top layer had been stripped away (actually, that's probably how it works!). I can't say I approved at first--it just looked dull to me. After a few minutes of staring at my fingers (I haven't looked so long since I got engaged! ), it started to grow on me. I can assure you, I won't be using it often. But it's a nice change every now and then, especially for all the dark polishes that are popular for winter. Essie's matte look is being promoted as part a new partnership between Essie and Rock & Republic. To complement your newly made-over nails, they're offering innovative new All About Matte jeans and Top Matte tees. Go to Rock & Republic retail locations or shop.rockandrepublic.com to shop.